Teens are often left with no or very little pocket money when they have to buy something special for their love on Valentine’s Day. The good news is that it is possible to woo your partner even with a budget as low as one dollar. The best way to fit your celebrations within such a budget is to gift a beautiful rose or make a craft item at home. Rustle up a dish using available supplies, or pluck some fresh flowers and decorate your place with them. Your partner will love the idea of being showered with flowers on Valentine’s Day. With two dollars to spend on Valentine’s Day, you can still impress your partner with beautiful house decorations. Gather decorative items that have been lying unused for days and use them to adorn the home. Welcome your partner with a love petal shower or prepare a bed filled with roses. Or, present your Valentine with a scrapbook with pictures of the special times that you have shared together. Prepare morning tea when your Valentine wakes up, and present a bunch of flowers to start the day on a celebratory note. Make a sweet Valentine’s Day card or take a walk at night, and then relish a local brand of ice cream. With less than $10, you can still arrange to make the day special for your partner. Buy candles or small light bulbs to adorn the table. Talk for hours or gaze into each other’s eyes. Present your Valentine with some homemade cookies or a handmade coupon holder. Let your love read out the messages in each coupon to know how the days ahead with you will turn out to be more lovely and romantic. Celebrate Valentine’s Day by visiting a park and munching on some light snacks to fit the celebration. Buy a few flowers and some local chocolates while you enjoy each other’s company. You can also make a special Valentine’s Day card for your love with supplies you have at home. Take her out to a place of natural beauty and romantic charm. You can also make a basket of tissue flowers to gift your love on Valentine’s Day. 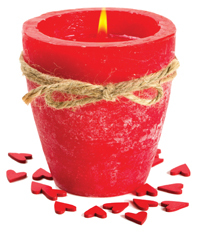 Call over your Valentine to your place and spruce it up with scented candles you already have. Lay down a beautifully decorated table and catch up with your love over hot cups of coffee. 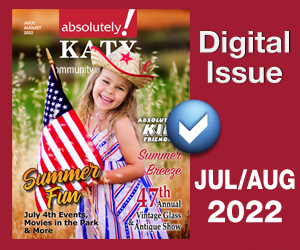 Plan a trip to the botanical gardens or visit a vineyard together. Walk hand in hand as you capture some romantic moments in your lens while exploring the most decorated and lovely plantations. 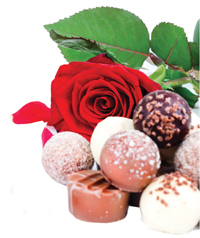 As you roam around the garden, present some small gifts like chocolates, cooking or flowers in different colors. You can also present an artificial ring within your budget. Take your love out to a café. Reminisce the magic of old days as you enjoy mouth-watering delicacies with your partner. Or, rustle up a special meal at home with inexpensive, yet quality food supplies to impress your partner with your cooking skills. You can hire a local musician for a small fee to play some love songs and romantic tunes dedicated just for your love. Prepare a dinner table at your home with some homemade delicacies, fruit and champagne. No matter what you are gifting your partner on this day, it’s all about how much effort you are putting to make your partner feel special.